Betting News > Football > Champions League > Man City v Tottenham Betting Tips: City to turn on the style? Manchester City have it all to do tonight after last week’s 1-0 quarter-final first-leg loss to Tottenham Hotspur. Even without Harry Kane, Spurs will be a big threat on the counter-attack and know a goal can heap even more pressure on City. But Pep Guardiola’s men are going all in for the quadruple and should come out all guns blazing this evening. The home side have no room for error here; a win at 3/10 still might not be enough if they concede tonight. Spurs go into the game knowing a draw at 21/5 would put them into their first ever Champions League semi-final. You can get 4/7 for City to qualify and 13/10 for Spurs to advance. Think the Citizens will be too strong on home turf? We go 17/10 for both teams to net in a Sky Blues win. Pep is almost certain to recall Bernardo Silva to the starting line-up and he could join Sergio Aguero and Raheem Sterling in attack. His back-four is a little more unpredictable, but Aymeric Laporte and John Stones should come into the heart of the defence. 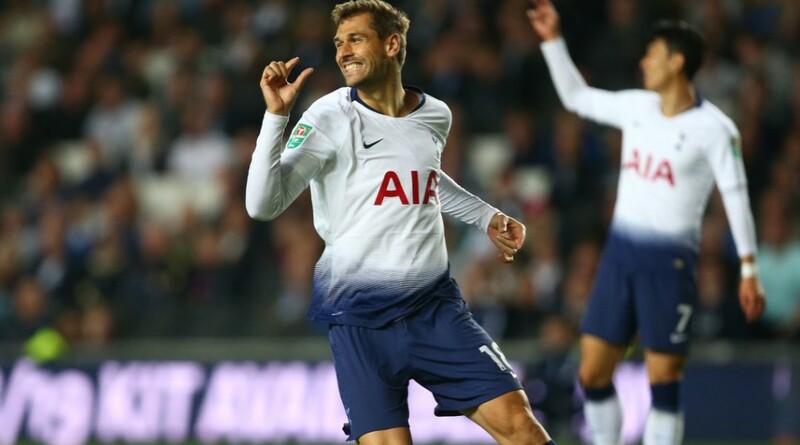 City’s 4-3-3 formation could be mirrored my Mauricio Pochettino, whether he plays Fernando Llorente from the start will be telling. Harry Winks looks set to be on the sidelines, but Dele Alli will hope to play a part despite breaking his hand. The midfield battle between Fernandinho and Moussa Sissoko could end up being the deciding factor in which way the result goes. City could start quickly here, with Aguero to score first at 14/5. Sterling has added goals to his guile this season and he’s 7/2 to score first. Bernardo Silva has really come into his own this campaign. The Portuguese playmaker is 3/1 to score in a home win. Son is 5/2 favourite to score anytime for Tottenham, while Llorente is 3/1 to bag himself. Kevin De Bruyne could take this game by the scruff of the neck, we have him at an interesting 25/1 to score 2 or more goals tonight.